October 10, 2016 By Allyson Leave a Comment This post may contain affiliate links. Read my disclosure policy. 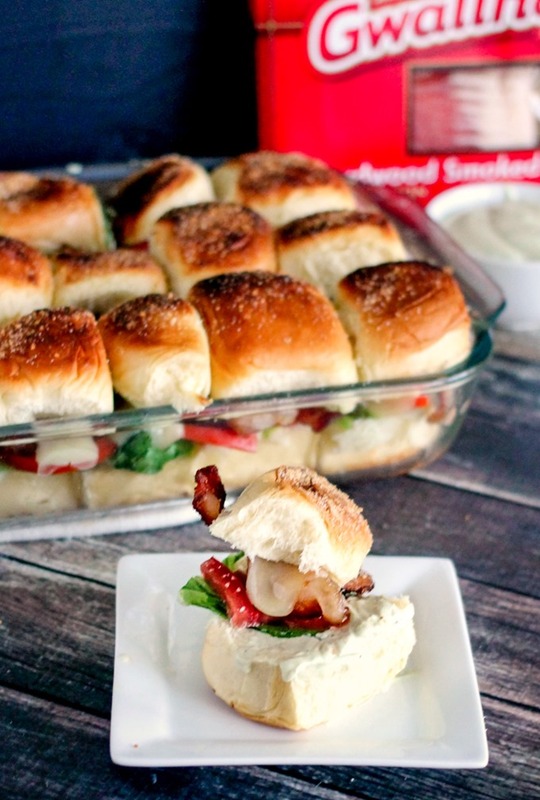 Easy BLT Sliders with Avocado Ranch are a quick and tasty meal! Only a handful of ingredients, 15 minutes to make, and super delicious! I am always looking for easy meals to whip up during the weekend. Feeding the whole family, along with being quick and easy, are the most important elements…oh, lets not forget tasting AMAZING as well! My kids also love getting in the kitchen and helping me, so I like to come up with recipes that their little hands can assist me with. 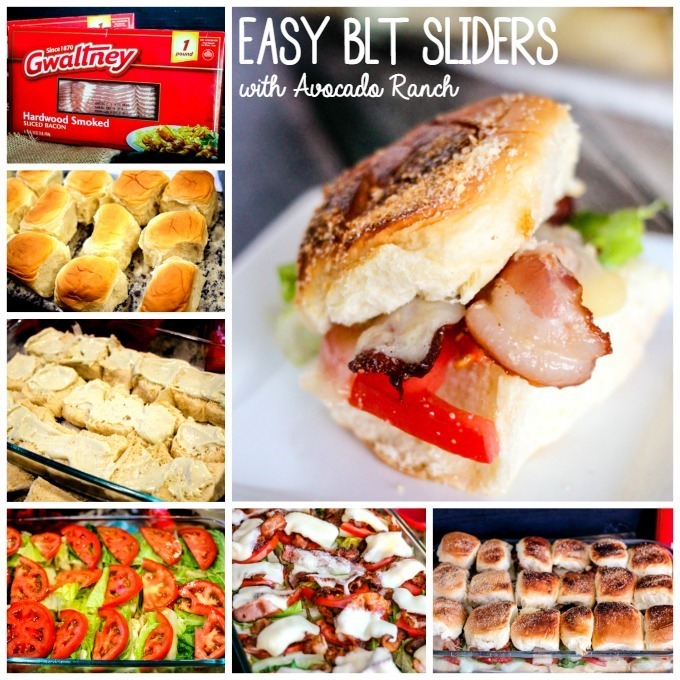 These Easy BLT Sliders with Avocado Ranch check all the boxes and the kids love helping with them! Gwaltney Hardwood Smoked Bacon is premium sliced and has a great smoky flavor, which makes it perfect for this recipe. We cooked it up on our griddle, and then prepared out other ingredients. Next, we assembled the BLT sliders and this was so much fun for my two boys! After putting all the ingredients onto the rolls, we popped it in the oven and broiled it for just a minute so the cheese would melt. Then we drizzled more avocado ranch on the top, placed the roll tops on, and then sprinkled some parmesan cheese on top. Popped them back into the oven under the broiler, and let them hang out for about 2 minutes. You need to be VERY careful, because these will burn quickly. Watch them closely! You want to serve these immediately after taking them out, otherwise you risk the rolls getting soggy on the bottom, and that’s no fun! They really come together super quickly, about 15 minutes from start to finish, and they are a huge hit with the family. 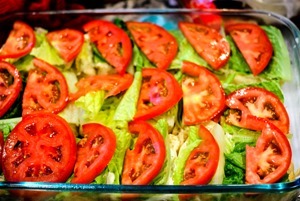 They would make a great party appetizer or potluck dish as well! I think I am going to try to make some breakfast sliders next; the Gwaltney Breakfast Sausage would be perfect with some eggs on a roll! 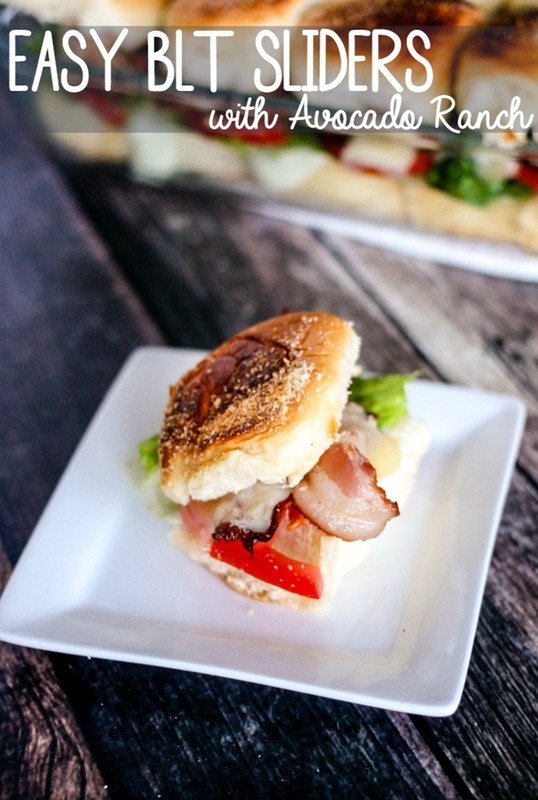 You could also make some sandwich sliders using the Gwaltney Honey Ham and Roasted White Turkey…YUM! So many options for awesome Gwaltney products! Using a food processor, blender, or immersion blender (or even a whisk! ), add all ingredients for avocado ranch, and blend until combined. Scrape sides, and blend again for 10 seconds. Set aside. 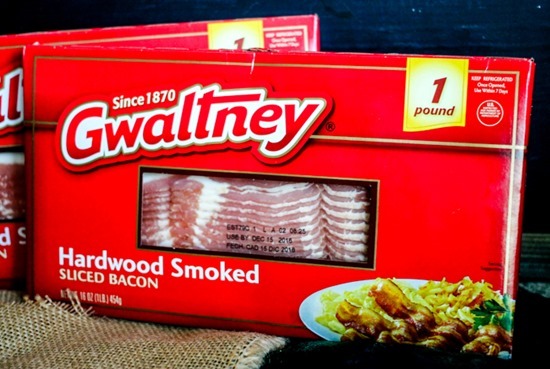 Using a skillet or griddle, cook the Gwaltney Hardwood Smoked Bacon slices according to package directions. Once cooked, set on a plate lined with a napkin and set aside. Preheat oven to HI BROIL. 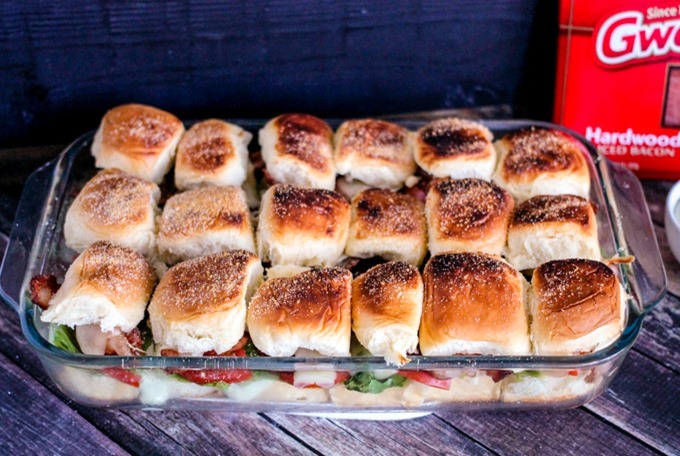 Using a 9x13 baking dish, add the bottoms of the slider buns to the dish. Spoon about 1 tsp avocado ranch onto each bun, and spread. 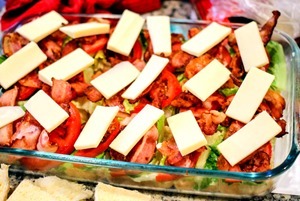 Add a slice of lettuce, tomato, 2 slices of bacon, and then a slice of cheese on top (don't put the bun top on yet). Place into oven for 2-3 minutes, or until cheese is melted (watch carefully). Remove from oven. Add about 1/2 tsp dollop of avocado ranch on top of the cheese, then carefully put the tops of the buns on each sandwich, then spray the tops of the buns with either non-stick oil spray, or lightly brush the tops with olive oil. Sprinkle Parmesan cheese on top. Place into oven (on broil still) and cook for 1-2 minutes, or until the tops of the buns are lightly toasted. Watch carefully because they can burn quickly. Remove from oven and serve immediately. Store remaining ranch in the fridge and use on your favorite foods! For more meal inspiration, recipe ideas, and to find Gwaltney products near you, visit Gwaltney Foods online or their Facebook Page. Don’t forget to enter for a chance to win either one grand prize of $5,000 worth of groceries or one of three runner-up prizes of $1,000 worth of groceries. Sounds amazing! This is a sponsored post written by me on behalf of Gwaltney.